Bobby is back. Shamrock FC's marquee fighter in KC returns to take on Darrius Flowers in a 3 round welterweight bout. Bobby Voelker tallied his 30th professional victory in February with a first round stoppage over BJJ ace Bobby Emmonds. Emmonds drug the fight to the ground early, and kept Voelker out of punching range while he ran through a gambit submission attempts, unable to get one to stick. When Voelker finally broke free, he connected with a nasty punch that setup a TKO and awarding Voelker a milestone victory and his sixth victory in last seven bouts. Taking on Voelker is "Beast Mode" Flowers, a heavy-handed puncher from Chicago. Flowers is coming off a main card loss on AXS TV at LFA 37. Deron Carlis will face his third "Garrett" in a row when he steps into the cage against Garrett Wells at Ameristar KC. Carlis has faced Garrett Gross, and Garret Mueller, back to back, and will hope the third time is the charm having lost the previous two. Carlis is badly in need of a win, after starting his career a perfect 4-0, he's lost four straight. Despite a successful amateur career, Wells lost his first two as a professional, and will be hungry for a win over Carlis. Wells, measuring at 6'1" will have a quite a bit of height and reach on the 5'5" Carlis, this should make for an intriguing stare down. In a middleweight match-up, Will Johnson will face Wichita's Chris Mitchell. Mitchell, a Renato Tavares purple belt, will be making his professional MMA debut. Rounding out the main card is an amateur title bout between Travis Sumler and Tim Jackson. 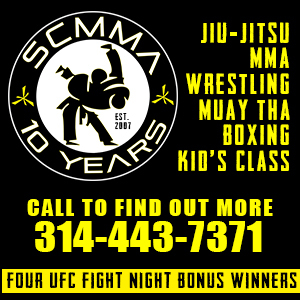 Jackson recently won the SFC bantamweight belt in a dominant performance in St. Louis, and will now travel across the state to defend it against Travis Sumler, a winner of two straight. Kickboxer Jimmie Hendrix will return to face Chad Dodson. Hendrix scored a beautiful head-kick KO to light up the crowd in April at SFC 304. Also of note, Cesar Morales and Asa Collier will rematch a bout from January 2017 in what was Collier's MMA debut. Morales won a unanimous decision. 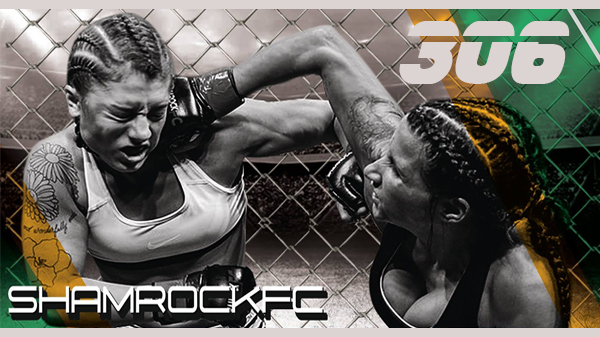 Tickets for SFC 306 are available on the Shamrock FC Store.